CarsDirect Online Auto Loan – How to Apply? Do you want to get a car loan but afraid of being rejected because of your bad credit score? Heads up, because you have a chance. CarsDirect Online Auto Loan is the answer to getting the car of your dreams even if you have a credit situation. Enjoy a tailored auto loan geared towards your needs and current financial standing. Applying is easy and convenient. Read on to find out how you can apply for this auto loan. CarsDirect offers easy car financing options for clients. Whether you’re looking to buy a brand new or used vehicle, you can get awesome deals and enjoy multiple options. In this article, we’re going to look into the perks and process of applying for the CarsDirect Online Auto Loan. The best thing about this auto plan is you have the freedom to choose the vehicle you want, despite a poor credit score. CarsDirect has a wide range of connections to dealers, which is great to help you choose the plan you can afford. They help you in the process by providing consultation services and customizing a loan that’s manageable for you. You need to know that CarsDirect is not the lender; they only help you find a financing option to buy a vehicle. Another good thing about the CarsDirect Online Auto Loan is, you can get a second chance. 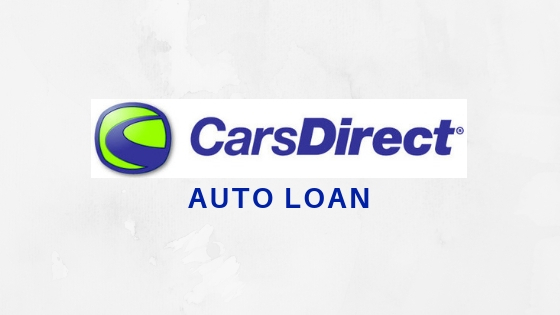 If you’re recently divorced, filed for bankruptcy, got laid off or assigned to a different location, CarsDirect can help you obtain a decent auto loan. The process involved in applying for this loan is easy and convenient, so you don’t need to submit more paperwork and wait for ages. You can get started by visiting the CarsDirect website. You need to provide your personal details, including your monthly income and residency. Make sure you are at least 18 years old, employed and a legal US resident. This is the basic requirement of applying for a CarsDirect Online Auto Loan. Note that the amount you can borrow will depend on your financial report. CarsDirect doesn’t determine the loan amount because it varies by network lender. Since CarsDirect isn’t the lender, the fees and charges vary on different network lenders. However, if you’re going to explore the website, you can see a target price for the featured cars. The estimated monthly payment is also posted, including the interest rate and APR. You can call CarsDirect to get assistance in finding out the best car for you. Getting a car with the help of an auto loan is a smart move, especially if you don’t have enough savings. Consider a CarsDirect Online Auto Loan if you’ve got a bad credit score and other financial situations. They can help you find a manageable deal that’s right for you. RocketLoans Online Personal Loan – How to Apply? Upstart Online Personal Loan – How to Apply?